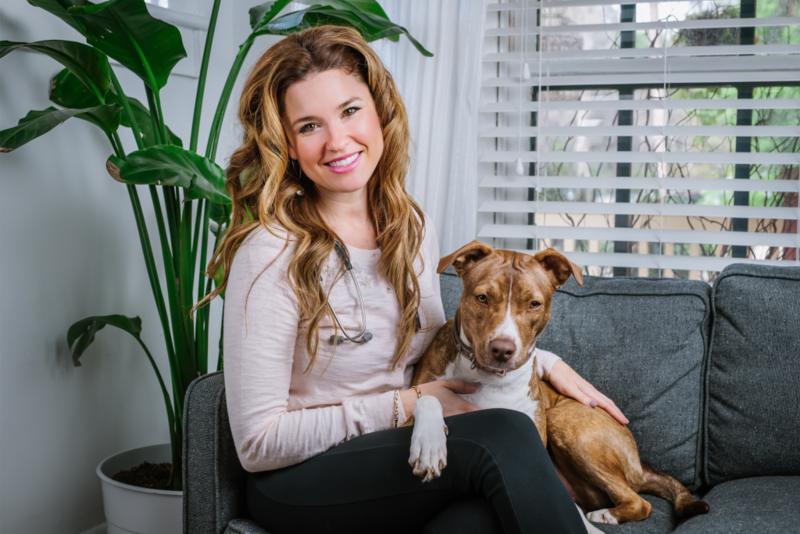 Dr. Dani McVety, veterinarian, entrepreneur and television host, will speak at the APPA’s Professional Women’s Network Breakfast at Global Pet Expo on Friday, March 24th. We are delighted to have the opportunity to sit down with Dr. Dani McVety, DVM, Co-Founder of Lap of Love, alongside Dr. Mary Gardner, DVM. Dr. McVety has grown the business for the past seven years, leading the charge in providing a loving, comforting, in-home hospice experience for pets. Dedicated to enhancing the quality of the end of life, McVety focuses on a growing branch of veterinary needs not often addressed in veterinary school. Her compassion for animals is palpable, and her advice, wise. “Years ago, while preparing a family for a euthanasia late one night, a client looked up at me and said “Please, can you leave her on my lap, I don’t want her on that cold sterile table, I want her right here with me.” That wasn’t what I was supposed to do, though. Only a few months out of veterinary school at this point, I had been taught that it was best to take her little Chihuahua to the back to begin the process. But her request was too powerful, too meaningful. And it’s exactly what I would have asked if I was her. So I said yes, and delicately ensured the experience was as perfect as it could be. Her little one never left her mom’s lap. As they left our clinic, her body was wrapped in the same blanket she was brought to me in. At that moment I knew that’s what every pet deserved, to be in the one place they are most comfortable in: their parent’s lap. Shortly after, Lap of Love Veterinary Hospice was born in Tampa, Florida. What started as a fulfilling part time project to help pay back my student loans, has grown into a passion for pets and their people, and the doctors that care for them both. To put it simply, I cannot imagine anything else. You grew up with horses! It says on your website, you originally wanted to go into equine medicine. What did growing up with horses teach you about animals that you still use in your day-to-day with Lap of Love? Horses are where my passion for animals started! This majestic animal has always had my heart, and I spent hours and hours cleaning stalls, feeding, grooming, and of course riding them growing up. We moved to a small 5-acre farm and I took complete control of all daily care of the four horses I grew up with. Of course two of them were miniature horses, which I suppose equates to about one horse in total work! When I was 15, I started a little business called “Honey, I Shrunk the Horse” in which I took my miniatures to children’s birthday parties. That is how I was able to afford to purchase my truck when I turned 16, and it was my first stab at entrepreneurism. Growing up with horses and the high level of responsibility that was required to keep them was, perhaps, the most incredible childhood I could have imagined. It taught me dedication, consistent hard work, self-sacrifice, and the peace that comes with caring for animals. By the time I was eight, there was no doubt that I wanted to be a veterinarian. Simply put, I cannot imagine another job that I ever wanted to do more than this. After college, you practiced emergency medicine while volunteering at a human hospice. What was that experience like, and how did it inspire you and also psychologically equip you to want to work in the hospice side of veterinary medicine? It seems like a difficult path to choose. My experience as a human hospice volunteer in college was simply incredible. It taught me that death and sickness do not happen because medicine fails, but because they are the natural progression of biology. This is completely different than what we are taught in medical school, which is to cure, fight, win, and beat any disease that we are up against. When I graduated veterinary medical school and began my work as an emergency clinician, I found myself tapping into the mental resources that human hospice gave me. In a short amount of time, I found myself becoming the doctor that the technicians and the other staff would grab if they had a tough situation or difficult client. I was the one that enjoyed walking families through the decision-making process and helping them come to terms with the limitations of medicine (especially in an emergency setting). I suppose in some ways this was always a comfortable mental place for me because I knew that, unless you are extremely non-compassionate, it is difficult to fail in that role. In medicine, we intend to save a pets life, but sometimes based on biological situations that are out of our control, we simply can’t. But end-of-life care is different. The end result is known for everyone (death), and it is simply a matter of walking them through the process compassionately. The client may expect you to save their pet’s life, but they do not always expect you to be truly compassionate and empathetic at such a difficult time. I had no idea what it was Lap of Love was going to turn into when I started it three months out of school (while doing emergency medicine); all I knew was that I was good at it, I enjoyed it, and people really seemed to appreciate it. Fast forward seven years, and the communication techniques that are required to make our doctors successful and leave families with a peace of mind is simply my passion. I became a certified body language instructor, I take communications courses, I study negotiation techniques, and am constantly in the middle of a book relating to the science of communication. How we help families through this process and how they feel about it afterwards is the most interesting thing I can imagine — it fascinates me. How does the process work with sitting down with a family and discussing the decision to work with hospice? Do they usually come to you for advice as to whether they should put their dog down, or is their decision usually made? Or does it usually start with an inquiry regarding natural aid and nutrition when a pet is terminally ill? Half of the families that reach out to us have been referred to us by the regular veterinarian. This generally occurs when the process of the disease has reached the point of no longer being curable. At that time, they are referred to our team and we begin the process of finding out exactly what the family wants from the end of life experience with their pet. Those expectations are then coupled with the disease process the pet is experiencing. We set proper expectations for the family, do our very best to meet those expectations, and most importantly, help keep their pet as happy and comfortable until the time we decide euthanasia is appropriate. Some families call us already knowing that the time is right, and some families call us wanting help with the decision. This latter part is perhaps where Lap of Love makes the greatest impact. Pet parents do not practice veterinary medicine; it is important for them to know that they do not have to be alone in the decision-making process. Yes, sometimes you will “just know” when the best time is going to be. But usually, you have no idea and you need a qualified and trusted professional to give you permission to ask the right questions and a partner with you when making the decision. Because it is not the pet parent’s decision to be made alone, and removing that burden of the decision many times removes the burden of guilt as well. For you, what are the benefits of putting a pet to sleep at home? There are so many benefits to in-home end-of-life care! The first, and most important, is that the pet is most comfortable in his or her home. Home is generally the easiest place for families to show their emotion and feel safe to grieve. You can have your religious emblems, your own couch, bed, blankets, and even stay curled up in your pajamas with your pet all day. Many of us also have other housemates that may want to say goodbye to the pet that is dying. It’s a very peaceful time and other animals always seem to understand what is going on. There simply is no better place for a pet parent to be than home. You mention on your website that in veterinary school, dealing with a terminally ill or aging pet was not generally covered in lectures when you were in school. Has that changed and what do you think future vets should know going into the field, regarding the process? The veterinary medical school curriculum is completely packed. We have all of the normal classes you would expect, and have countless species to learn about. Luckily, that is changing a bit as our profession embraces the fact that we are more like pediatricians now than the equine mechanics our profession started as hundreds of years ago. My business partner and I now teach an end-of-life course at our alma mater, the University of Florida College of Veterinary Medicine. There are a handful of other colleges around the country that also have a course or two on end of life veterinary care. So yes, the profession is evolving constantly and doctors graduating now have many more hours of end-of-life education then I did just seven years ago. How do other veterinarians usually respond to the idea of doing this process at home? I often hear from veterinarians things like “When Lap of Love first started, I wasn’t sure exactly how this was going to fit with the rest of practice, but now I get it; thank you for handling the situation with our clients so well, you make our job in the clinic easier.” Our profession has known for a very long time that most families prefer euthanasia be done in the home. There just simply hasn’t been an easy way of delivering it. Most of our calls come with less than 24 hours notice, and it takes a great deal of preparation, both mentally and physically, to know exactly how to handle every situation that arises in the home. After a family goes through the euthanasia, you offer a certificate, make a paw print, and give a lock of the dog’s hair. In addition, there are optional cremation services. What inspired you to do both of those things? Wonderful question! I was a sophomore in veterinary school when I experienced the first euthanasia of a pet in person. Afterwards, the clinic said that they provide a paw print and hair clippings for families that paid for private cremation. Living on a farm, we wanted to bury our dog in our yard. I remember feeling sad that those incredible memorial items were only offered to some people and not everyone. 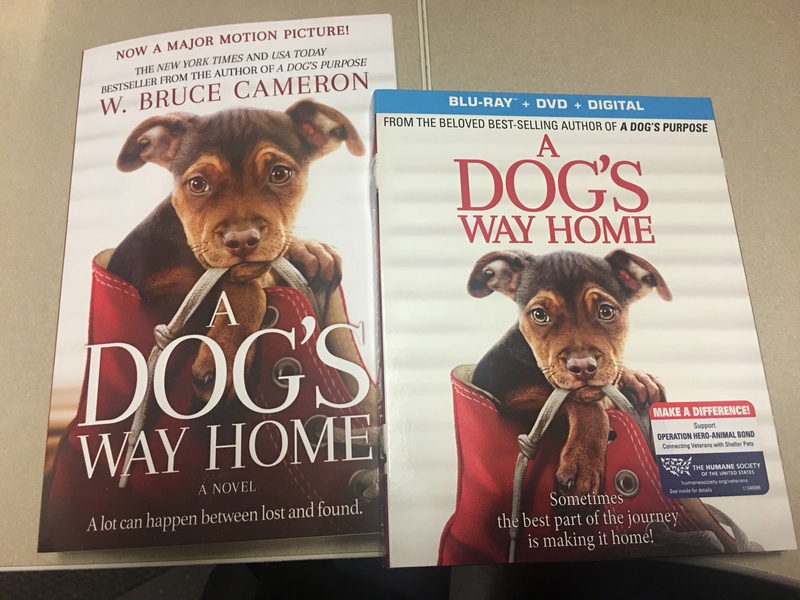 From the beginning, I’ve always offered the paw print, hair clippings, and a booklet that includes grief support and other information to all our families. At the front of the booklet there is a place for us to write the name and date of passing, which serves as a certificate for families. Everyone should receive these items, not just some. The cremation option is a very important part of the experience a family has as well. We find that they appreciate the fact that the doctor that administered the medication that ended their pet’s life is also the doctor that puts their pet in a basket, or on a blanket on top of the stretcher and into the front seat of the car (or in the back of the SUV with the larger dogs). It’s an important part of the entire service and one we feel strongly about making extremely dignified. You also have a nutritional consultant for terminally ill pets. What made you decide this service, as well as the online pharmacy? We started the nutritional consulting for our hospice patients simply because we have an incredible woman that handles these cases, Jodi Ziskin. She’s amazing. The online pharmacy makes getting our hospice patients medications much more simple and streamline. So many times families do not want to leave their homes with the terminally ill pets. These added services help us honor that request. If someone is considering the option of putting their pet down at home, what advice would you give them? I would simply ask them to imagine the very best goodbye they possibly can for their pet. Whether that is in their backyard at sunset, on the beach with the waves in the background, or simply curled up on their bed together. If that’s the best they can imagine, we can make that happen as long as the disease process does not outpace our decision-making process. Online, you offer the option to keep a pet hospice journal. How is this beneficial to pet parents, and what kinds of insights/benefits have you seen gained from the journaling process? Our online pet hospice journal helps families keep track of the progression of symptoms that their pet is experiencing. Sometimes we get so blinded by our day-to-day view of the situation and forget that there is generally a progression of symptoms that occurs. Even simply looking at photos from their pet last week or last month will help a family see how rapidly their family member is deteriorating. This also helps us as doctors track the progression and see warning signs before they become active suffering. This is truly been an amazing tool for us and it will continue to grow and improve throughout the years as we gain more and more data on the end-of-life disease process what we see with our patients. It helps us predict, with greater certainty, what is going to happen. Tell us about Grey Muzzle. How has the app helped pet owners make these difficult decisions? Our Grey Muzzle app has also been a work in progress, and was built in the spirit of the Pet Hospice Journal. It gives families a more easily accessible interface to record and share the progression of their pet’s symptoms. Your site is incredible. It has so many resources for pet owners to express their love and love. Tell us about the memorial page, the journal, and Harvey’s Place. We are so proud of our website, and I’m thrilled every time I hear a family say what valuable information we have on it! The memorial site is there to help families remember their pet and for them to see that they are not alone. In that same spirit, Harvey’s Place (we have always called the old dog in our logos, Harvey) was founded to help families connect with each other and talk about the decision making process we all go through. So many of us feel alone in our grief over a pet. Others in our lives, sometimes even spouses, don’t understand the grief that comes with such a dramatic loss of a pet. We hear things like “he was just a dog,” or other statements that completely degrade the experience of loss. Giving families a community to share experiences and helpful tips was an idea that we can years ago! Lap of Love has grown tremendously. Can you tell us a bit about that process, and about finding out that the desire for the service was so widespread? I was just three months out of veterinary school when I started Lap of Love as a side project. I was doing emergency medicine at the time and honestly had no idea what this was going to turn into. About a year later, the service continued to grow and I was receiving calls from around the country from doctors wanting to start a similar service in their area. Around this time I contacted a veterinary school classmate of mine, a friend that spent almost 10 years as a very successful software designer before she switched professions, Dr. Mary Gardner. I knew I was in need of a software platform and none of the existing platforms would work for this unique model. I also told her that there was an opportunity to scale this business if we could figure out how to train and implement the service with other doctors. To make a long story short, it was obvious that both of her hearts and mines were in the same place and it took just a few months to get her up and running in her area! We weren’t sure at first how difficult it would be to bring other doctors onto our network, but after almost 5 years, I can say that we are very proud of the process we have in place. We’re honored to attract some of the most incredibly compassionate, empathetic, and engaged doctors that exists in our profession. You don’t have the desire to do end of life care without also completely loving it! How can a doctor in the veterinary profession join your growing network? Simply visit our website, LapofLove.com, and click Join the Team! You can also email our awesome Director of Recruiting at Trent@LapofLove.com for more information. In all your years working with Lap of Love, what was an especially memorable moment with one of your families? I’ve been honored to be part of so many incredible experiences, each one triggering a different memory and feeling for me. The most peaceful euthanasia was when that occurred on the beach at sunset after mom and dad had a “bucket list day” with their sweet dog. They pulled her around entire community in a wagon and even took a trip to the ice cream store. It was the most perfect day I could imagine anyone having and it was an incredible honor to be part of those last moments with the family. I wish every pet was able to experience love like that!